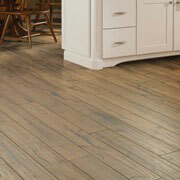 The tone of any room is set by its flooring as much as it is by its furnishings. Make every space attractive and inviting with the wholesale flooring options at the ProSource® of Wichita showroom. Work with your dedicated account manager to find carpet, hardwood, laminate, tile, and vinyl flooring solutions for your home remodeling project. Plush, thick carpet flooring can make any room feel more relaxed and luxurious. 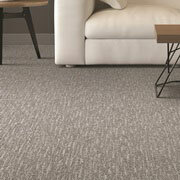 You can match the decor of any room with our complete line of styles, like Berber, loop, and patterned carpets. Our specialists can help you find the ideal carpet flooring for your project. When nothing else will do, enjoy the timeless look and feel of hardwood flooring. 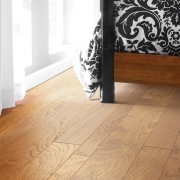 Naturally durable, hardwood flooring goes well in almost any room in the house. The versatility of wood itself, and the myriad of stains and finishes available means that hardwood floors can be matched with any decor or style. Laminate flooring is as durable as it is attractive. It can come in nearly any style, pattern, or finish, so you can find the perfect complement to your home remodeling project. 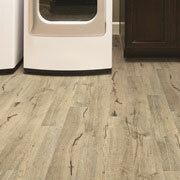 ProSource offers top-quality laminate flooring brands. The use of tile flooring can immediately update the look of any bathroom, kitchen, or just about any room. 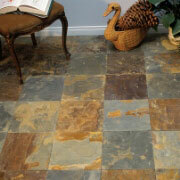 Tile is chosen when looking for a long-lasting and easy-to-maintain flooring solution. Ask about our range of glass, ceramic, and porcelain tiles for your next project. The luxury vinyl plank (LVT) and luxury vinyl tile (LVT) at ProSource of Wichita are available in a myriad of eye-catching and robust options. LVT and LVP flooring are great options for the budget-conscious, looking for the best way to affordably improve a space.